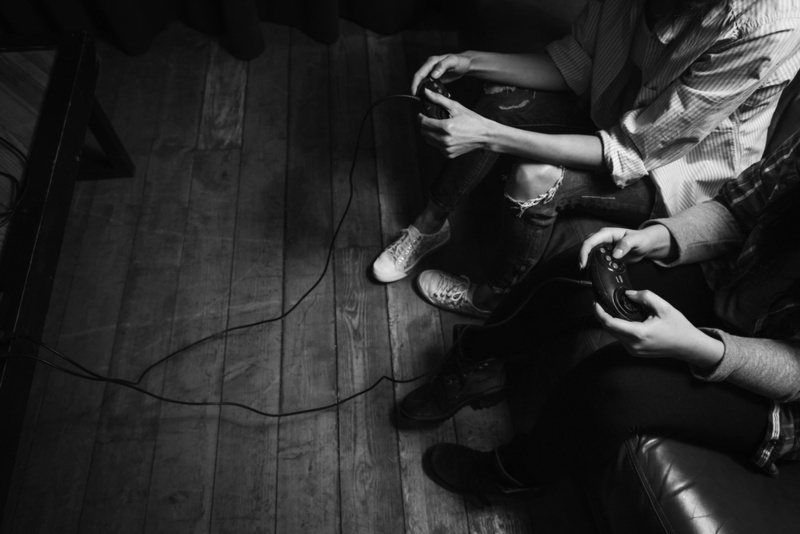 We explore gender representation in game development as part of our coveted guide, Three Strategies to Make Your Game a Winner. In this post, game designer and Story for Video Games course director Caroline Marchal talks to our students about starting out in the industry and how the indie scene encourages more diversity and audacity in gameplay and stories. Q – Hi Caroline, thanks for joining us! To begin, how did you get into game writing in the first place? CM – I like the ending especially – it’s quite beautiful. For writers, yes, it’s possible to be freelance, although it can definitely make it tougher. If you’re not part of a development team you’re generally brought in late, and it’s often a challenge to understand where the team is coming from – what their culture is and thus what type of experience they are trying to achieve. It can also make it difficult to be taken seriously and have weight in meaningful decisions. CM – A bit of everything, but especially television – that’s where the best screenwriting is currently, and the format and length is similar to games. Of course, though, other games are big a influence too. Quality in games writing has gone up in the last few years, and the indie scene is full of super creative people who come up with very interesting and innovative experiences. CM – We do user tests regularly – it’s mandatory if you want to make sure the game is understood and enjoyed by the audience you’re aiming for. For big AAA games like Heavy Rain and Beyond: Two Souls it means well over a hundred players, at different stages in development. Yes, we’ve had to change many things thanks to user tests. For instance, tutorials are often redone or tweaked in the light of user responses. I both love and hate user tests – I sometimes hate them because it’s painful to see users struggling when you thought you did your best – but I wouldn’t develop a game without them. They’re much more useful in games than they are for film or TV, although if something is wrong with a story the audience will always notice and lose interest, or get frustrated. That goes for any medium of storytelling. CM – The biggest change has been the emergence of the indie scene. So many creators and voices are now heard, and there’s more diversity and audacity in gameplay and stories. When individuals and small teams push boundaries like that, it makes everyone in the industry work their hardest to create better and more innovative experiences – which can only be a good thing! CM – I’ve played a lot of very interesting and moving experiences lately – What Remains of Edith Finch, Oxenfree, Life Is Strange: Before the Storm, Zero Time Dilemma to name a few – and I’d honestly struggle to pick one which embodies the ‘perfect experience’ for me. I love the diversity and the inventiveness of so many games, but if you were twisting my arm I’d say Shadow of the Colossus: beautiful, sad story, combined with wonderful gameplay and amazing atmosphere. Caroline Marchal has been working in the video game industry for over 15 years and is still passionate about making games and amazed by the incredible experiences this medium can provide. While working for Quantic Dream, Caroline lead the game design team on Heavy Rain and Beyond – Two Souls, and in doing so, has acquired a deep understanding on how story and gameplay should work together to create meaningful and compelling experiences. Now she is the Creative Director and CEO of the exciting new London studio, Interior Night. In 2018, Caroline and John presented a session How to Create Great Characters: Depth, Emotion and Player Agency at the Game Developers Conference in San Francisco. 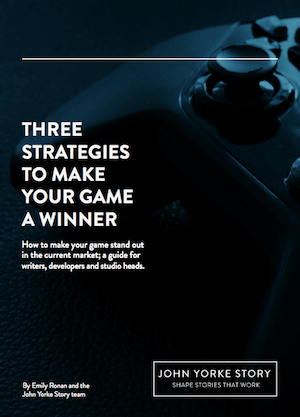 Learn more by downloading our white paper, Three Strategies to Make Your Game a Winner. Discover more about our Story for Video Games online course.